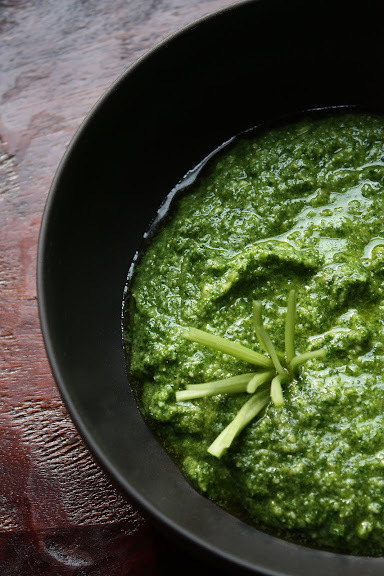 A milder, yet just as delicious, pesto made of the leaves of Chinese celery or regular Pascal celery instead of the usual basil leaves. Almonds are also used in lieu of pine nuts or walnuts. Recipe from She Simmers. Ingredients: celery leaves, extra-virgin olive oil, almonds, Parmigiano-Reggiano, garlic, and salt.